I take a lot of photographs log cabins for resort rental companies. And I’ve seen every cute little thing related to bears in these cabins. Many of them are a tacky dis on the proud and mighty black bear. But I like the one pictured above. 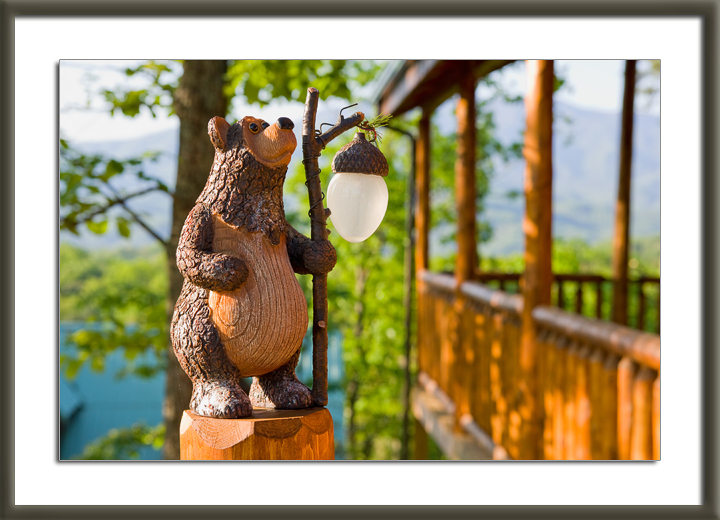 The cheerful bear holding out the acorn lamp to guide the way into the cabin at night. Not bad.